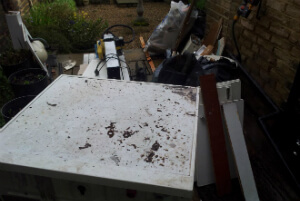 Newham E Commercial & Domestic Junk Removal | Quality Property Care Ltd. Call our client care service right now, or send an on line inquiry and you will get an estimated price quote based on your explanation of the junk and the service wanted. If you’ve completed gardening and have waste that you cannot remove of yourself, don't worry, we’ve got your back. We can remove flowers and plants, litter, garden weeds, plastic liners and bags, twigs, leaves, small branches,, animal bedding or straw, Christmas trees, plants, pots and plant containers,, glass cuttings soil and turf along with hedges or hedge clippings. All of this is disposed safely, you will be informed if there are additional expenses associated with certain items we are throwing out, before we begin the process of removal. Timber, bricks, glass, wood, rubble concrete, plasterboards, metal, soil, tiles and ceramics, cement and plastic are most of the typical materials we take away. With this service we charge PER WEIGHT and not by how much time it takes us to remove said trash. The most popular materials we remove are cement timber, rubble, and soil all of which are disposed in their proper places, responsibly and safely . There are items which we will not remove like paintm medical waste, food, or other dangerous substances like asbestos. We do not remove chemicals and all medical waste types like syringes, gloves and so forth. Quality Property Care Ltd. has been offering its professional junk removal services to the residents and businesses of the area for more than TEN years. The experience and ambition of the operations have allowed the establishment of very efficient, eco­friendly and affordable clearance, waste removal and waste disposal services. The clients will actually spend less money by hiring the professional waste removal and disposal services of the firm, rather than hiring a skip, as well as dealing with the authorities. The firm has vans to load and transport the junk, and works with a number of recycling centres and disposal sites in Newham E, so that there is always dumpster which is pretty close and is suitable for disposing the collected junk. 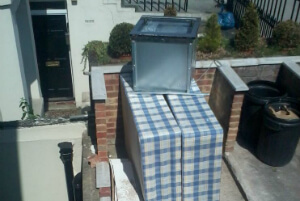 Call us 020 3746 4287 anytime you want proper junk and rubbish removal from your property. We work fast and efficiently, dealing with loads of all sizes from small to large ones. Get in touch with us at any time of the day or night, you will find proper info on our pricing, details around the removal and so on. Our team is available free of fee, with booking form availability. Call and save not only time, but also cash and efforts.